Our governance statement outlines the way we conduct business. Westchase Express Inc. is a legally incorporated non-profit public charity organization in the state of Texas that has been granted “tax-exempt” status. 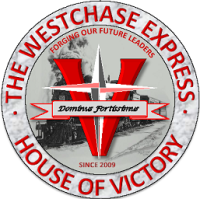 The Board of Directors and Voting Members of Westchase Express Inc. believe that for the corporation to achieve its vision of being renowned for excellence, it is necessary that the corporation meet the highest standards of services, performance, governance, and business conduct across all of its programs. Our approach to governance is based on the belief that there is a link between striving for high quality corporate governance and the creation of long-term value. We believe that good corporate governance must be embedded in our culture to support our values that are fundamental to the sustainability of our business. Westchase Express Inc. shall apply and execute corporate governance in accordance with the Articles of Incorporation and Bylaws as voted and authorized by the voting members and founders. The Board of Directors, elected from the voting members, is responsible for the day-to-day operations of Westchase. The Board of Directors does not have the authority alone to alter, suspend or change any of the rules, regulations or policies of Westchase. President - As the chief administrator, the president shall be responsible for all selecting and appointing all coaches and committees. However, the president shall also seek the opinion and backing of the other Board of Directors. The president shall be the most informed officer, therefore they must know and understand the articles of incorporation and bylaws under which the corporation operates. The president shall have the final vote in the case that the other officers are deadlocked. The president shall be responsible for all organizational communications. Beyond the administrative responsibilities, the president should personify the best public image in reflection to the community at large. The president should take an active role in gaining support and winning friends for the program. The role of president is a role that is mandatory to be filled at all times. In the case the president cannot execute or has vacated, an emergency vote shall be held to replace within 10 days. Vice-President – The vice-president presides in the absence of the president, works with other officers and committee members, is the ex-officio member of all committees, and carries out such duties and assignments as may be delegated by the president. The vice-president shall also oversee the fundraising activities and coordination. Three additional vice-presidents shall be selected to oversee operations, marketing and resource management. Secretary – The secretary maintains a register of members and directors, records the minutes of meetings, is responsible for sending out notices of meetings, issues membership notifications, and maintains a record of all corporate activities. Treasurer – The treasure signs checks as co-signed by another officer (or as authorized), reports on the status of the corporate’s funds, prepares budgets, and assumes the responsibility for all programs’ finances.